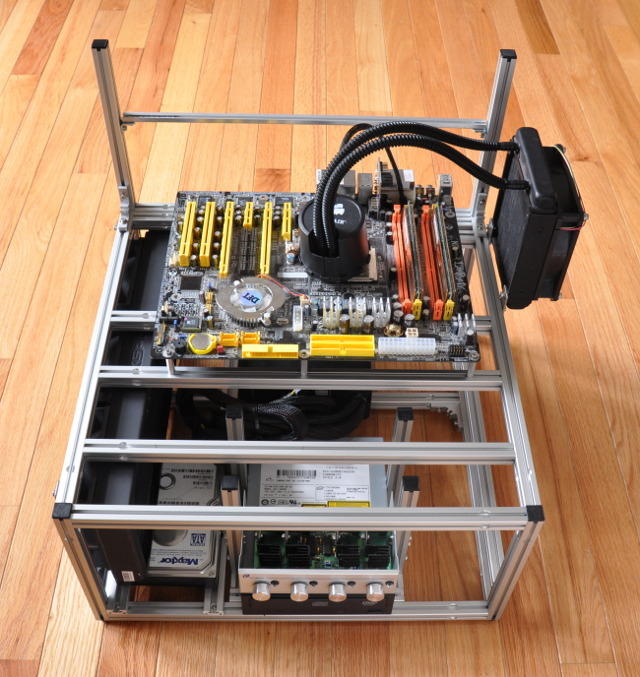 This small modular test bench accepts a bottom mounted power supply, two 3.5-inch hard drives (or four SSDs), and two 120×3 radiators. A PSU can be mounted anywhere along the entire back of the case (in any orientation). Drives are mounted to the drive “rails” (slotted-extrusion) via rubber grommets. 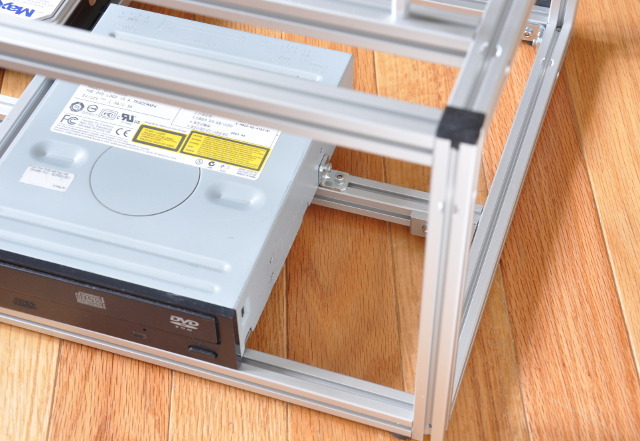 An optical drive can be attached directly to the station via 90-degree angle brackets. 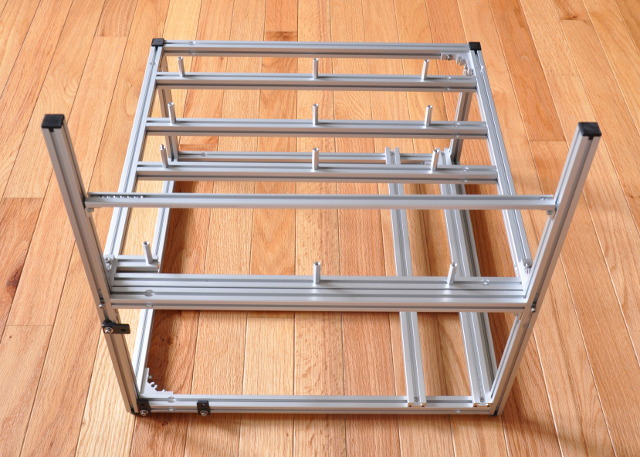 The drive cage can be re-assembled to hold 4x 3.5-inch drives. Multiple fans, pumps and radiators can be mounted almost everywhere on the station. Support for EATX, ATX (8 expansion cards), microATX and mini-ITX form factor motherboards. 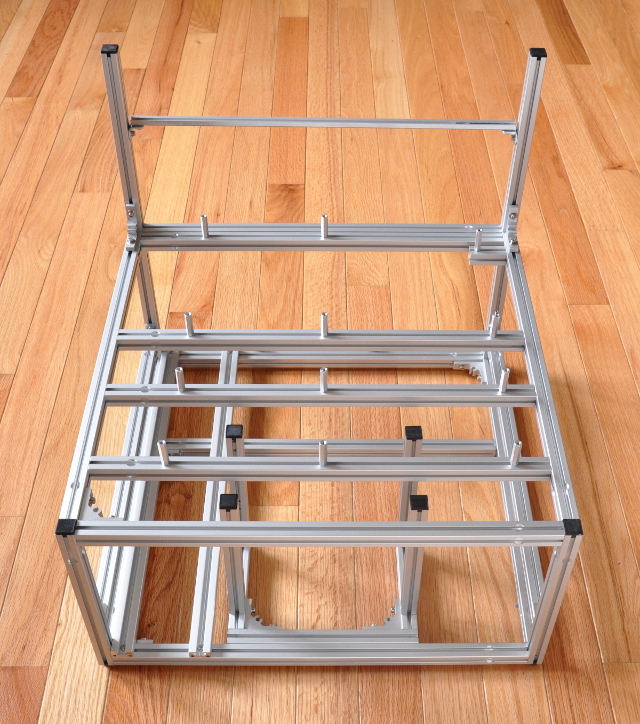 15mm tall aluminum motherboard standoffs. 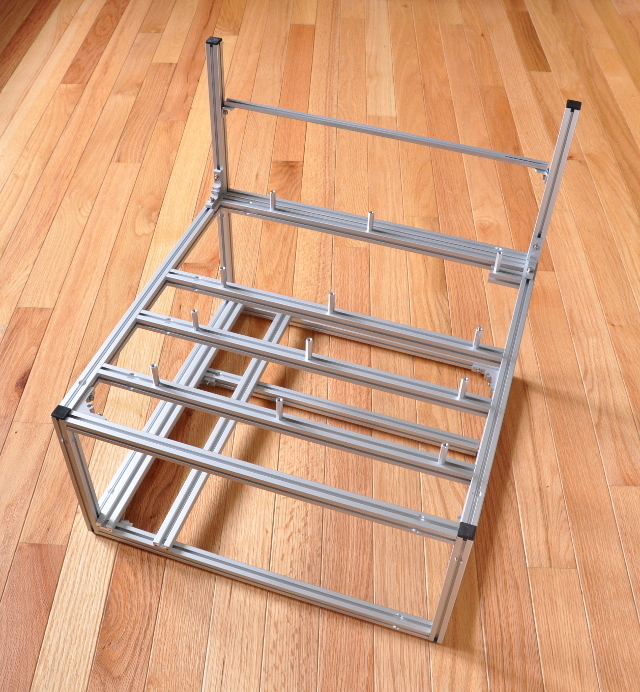 Mount 4 fans or any combination of 1-3 radiators on/in the bottom and/or top tiers. Extra extrusions and fasteners are included to mount pumps, reservoirs, etc. almost anywhere on the station. Bottom mounted PSU (oriented vertically or horizontally). 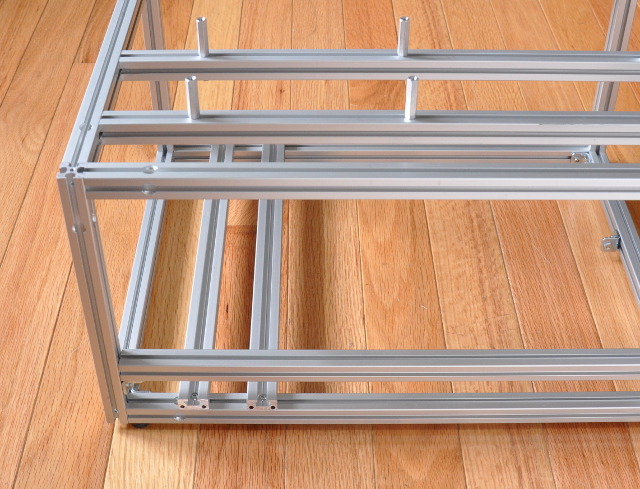 Install two 3.5-inch drives and any combination of three 2.5/3.5-inch drives on the lower level slotted extrusions. 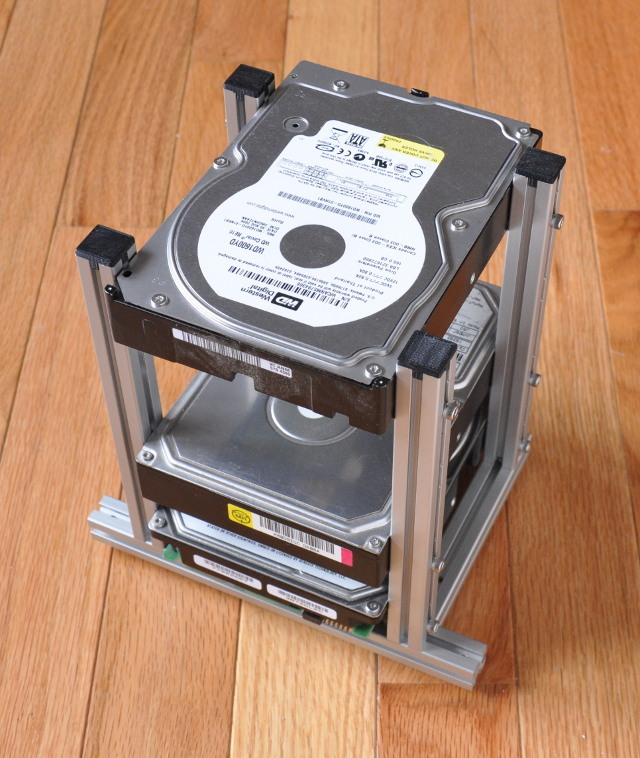 Additional drives can be installed with optional drive cage. Weight: 6 pounds 3 ounces. 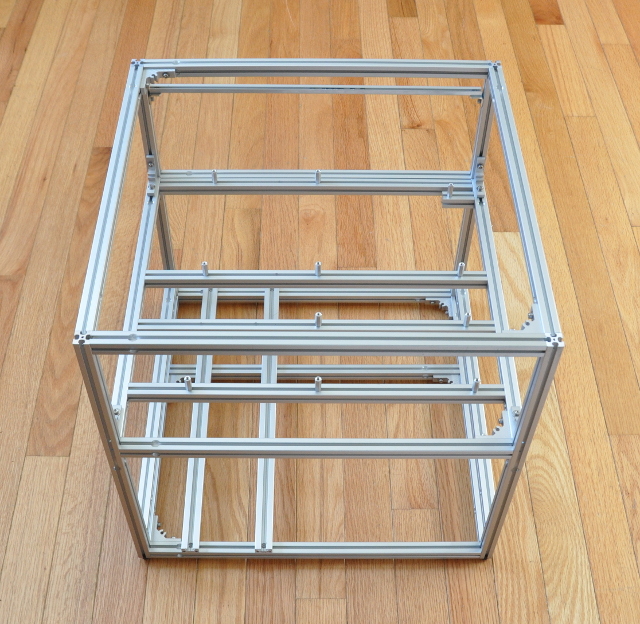 Shipping container: 18x18x9-inches, 8-pounds 13-ounces. The tech station reviewed by Linus Tech Tips, was actually a tech tray with an optional lower-tier, more info about that is here.